Simply, a data lake is a data repository for raw data in its native format. As the name implies, these repositories are capable of holding massive amounts of data. Ideally, data lakes are available at an enterprise level and can be easily queried to find relevant data for managers to analyze. How does it compare to a Data Warehouse? However, there are distinct differences between a Data Lake and a Data Warehouse. As the name implies, a Data Lake’s architecture is completely flat. As opposed to a warehouse, in which data is integrated and organized hierarchically in files and folders, data lakes rely on utilizing a proper series of unique identifiers and metadata tags for organization. A key point to note about the definition of the data lake is that the data is contained in its “native form”. A primary reason to utilize a data lake is to deposit and analyze data from any number of disparate data sources. As the lake accepts any data format, data can easily be submitted to the repository, and extracted in the original format of its disparate source system. This differs from a Data Warehouse, which aggregates the various disparate sources and standardizes the data into a single source, superseding the native formats of the data. Like anything worth doing, managing a data lake requires some effort. It is not a set-it-and-forget-it solution. When properly managed, a data lake and a data warehouse should not be viewed as competing products, but should create a fantastic partnership, which allows any data consumer within an organization to easily uncover answers to his or her questions from years of past transactional data. 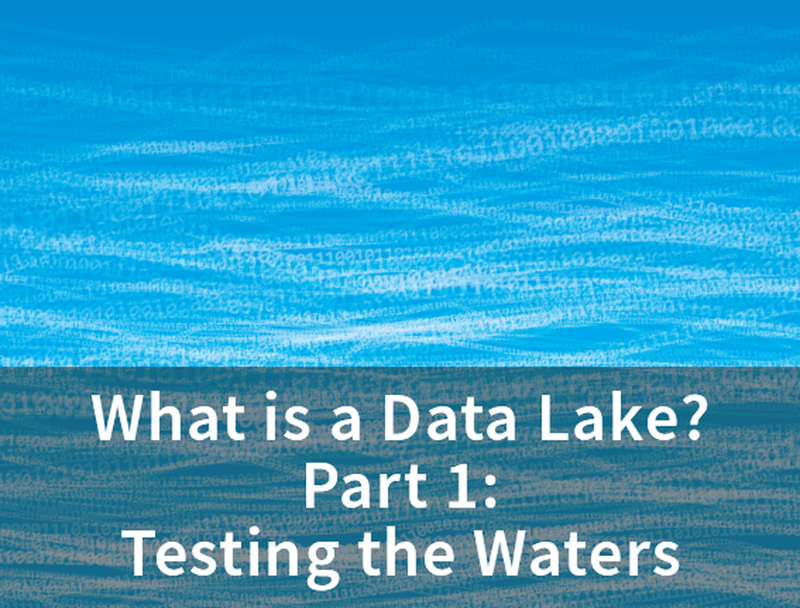 This is Part 1 of a blog series on Data Lakes. Subscribe to our blog to learn more and stay up-to-date on the latest in data analytics for credit unions. Click here to read Part 2.